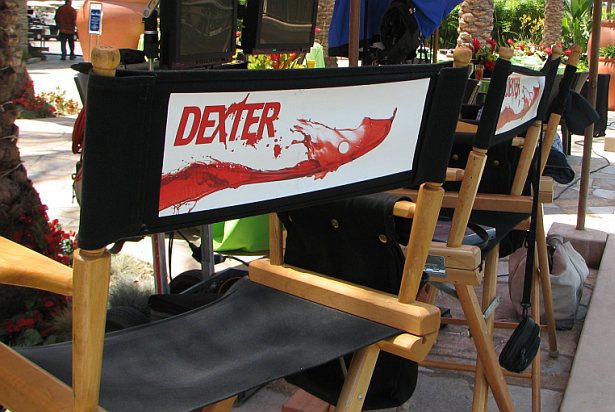 Dexter is shooting its eighth episode of the final season at 434 S Windsor Blvd, Los Angeles today. Check out after the jump an all-new set photo from that location. 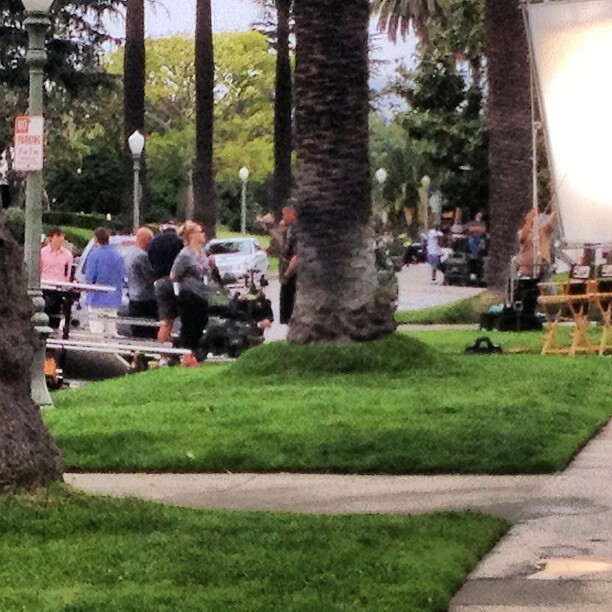 Sam Underwood (pink shirt), Michael C. Hall (blue shirt) and Yvonne Strahovski, filming episode 8.08 today.